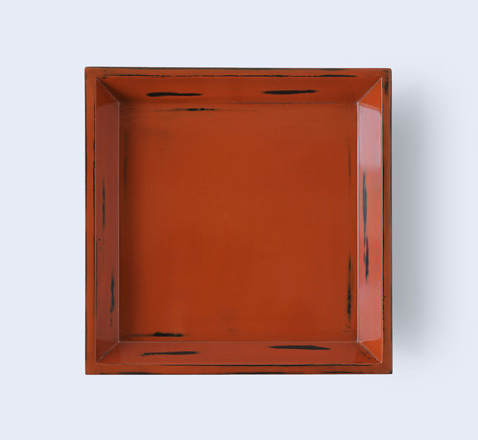 During the Kamakura period, the vermilion lacquerware used by the monks living in Negoro-ji temple in Wakayama prefecture, Japan. 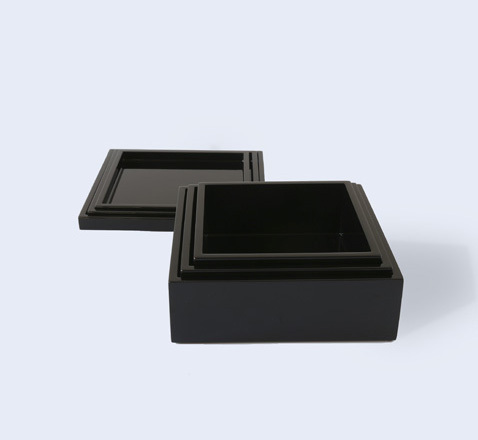 During long time use, the underlying black lacquer exposed by wearing off the vermilion lacquer. This used lacquerware was so beautiful and charming, generally calling it "Negoro-Nuri". 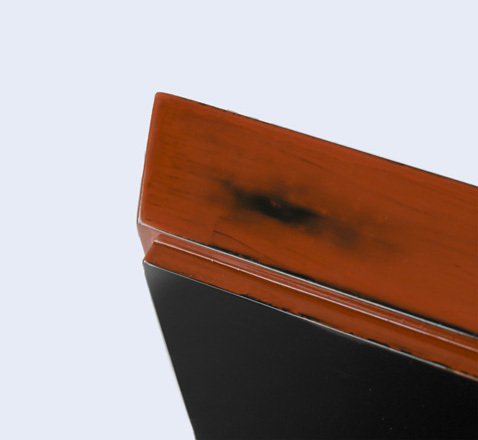 A technique to intentionally scratching the surface of vermilion lacquer off has been developed, and this technique is calling "Negoro-nuri" at the present time. 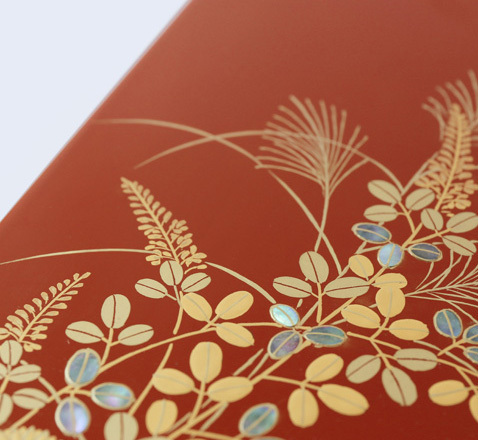 Maki-e is a technique where pictures or writing are painted in lacquer on the surface of lacquerware, and before the lacquer dries, powdered metal such as gold or silver is applied. 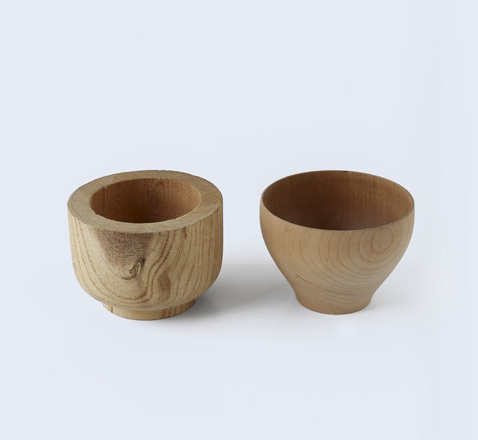 The technique originated in Japan and dates back to the Nara period. 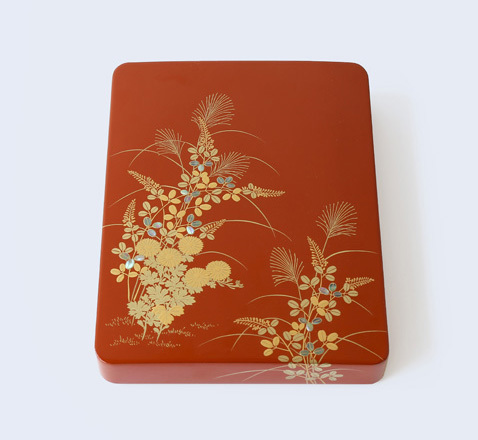 It is one of the most typical methods of decoration used for lacquerware. 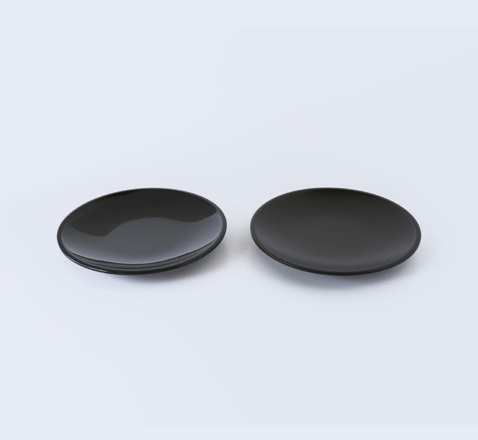 When they hear the word "lacquerware", most people imagine shiny(glossy) lacquer. However, by altering the ingredients of the lacquer, it is possible to control the level of shine(gloss). 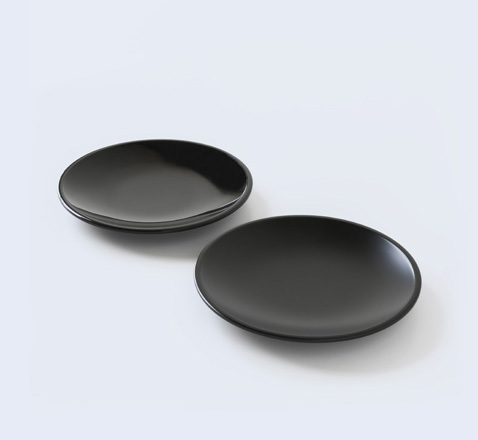 At Kishu, we adjust the level of shine of our lacquerware in order to create a varied texture. 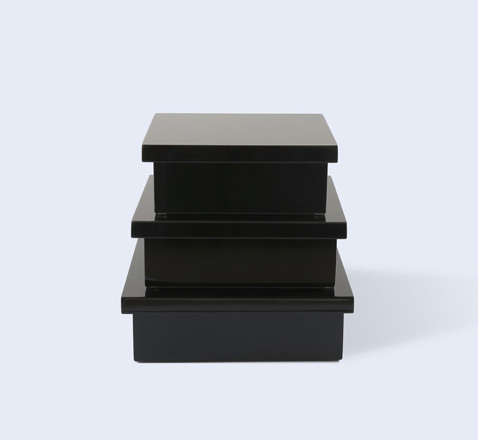 These stacked boxes and trays are made from processed wood, carefully put together by experienced craftsman. 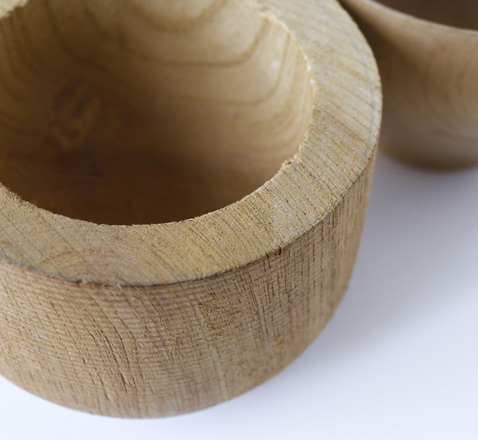 The technique has been developed in Kishu since ancient times, as the region is rich in cypress and camphor trees. This technique involves placing wood into a machine which rotates the wood against a blade, so called "ROKURO", carving it into the desired shape. The base material of the lacquer ware bowl is made by "ROKURO", and it is carefully carved out one by one by craftsmen's handwork.